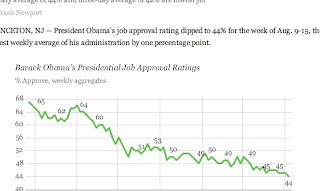 Basil's Blog: So, how big of a screw-up is Obama? Anybody with one eye and half sense can tell that Barack Obama is a screw-up. Some of us knew he was before he was elected. Now, everyone else is finding out what we knew all along: Barack Obama is a screw-up. The only question remains is: how big of a screw-up is Obama? 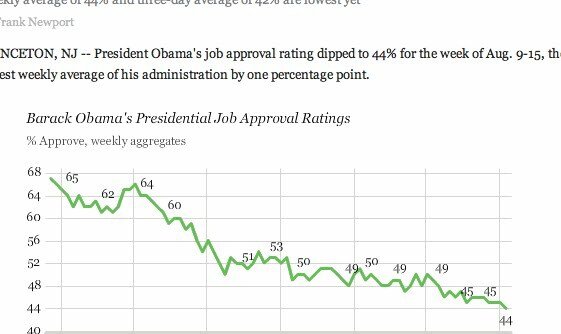 Gallup doesn't limit to likely voters. It includes more than likely voters. Which means those not likely to vote. Those that don't care enough to vote. Obama is such a screw-up, that even people that don't care are pissed at him.